Par-Kut provides a ticket booth used to shelter personnel. 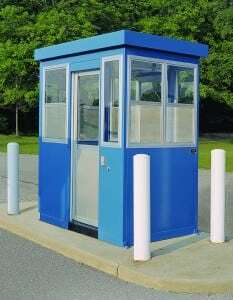 Par-Kut ticket booths are long-lasting, portable steel buildings. Ticket booths are usually the introduction to your facility, so shouldn’t that first impression say something positive about what’s to follow? Installing an architecturally enhanced ticket sales or fee collection booth speaks volumes about the quality of the organization as it welcomes visitors. 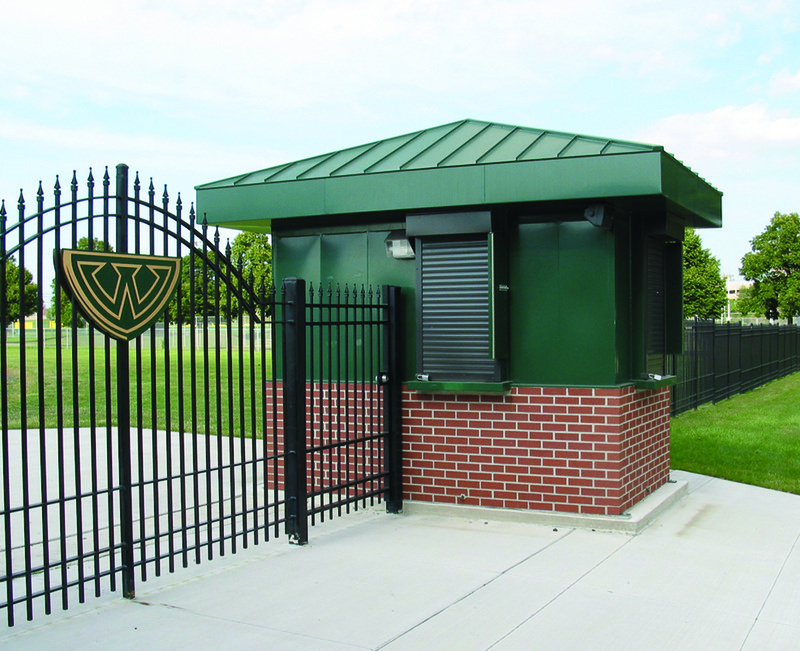 Par-Kut works closely with customers to manufacture completely assembled ticket booths that are aesthetically appealing, site functional, and offer the level of security desired. 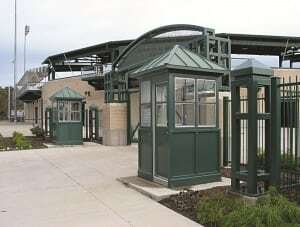 Every ticket booth has a solid welded galvanized steel framework and a factory installed electrical system. Architectural improvements are done by adding optional exterior treatments at the Roof, Windows and Exterior Walls. Functional features in ticket booths may include; single or multiple selling positions, speaker tubes, intercoms, cashier windows, locking cash drawers, safes, counters/shelves & deal trays with transaction covers. 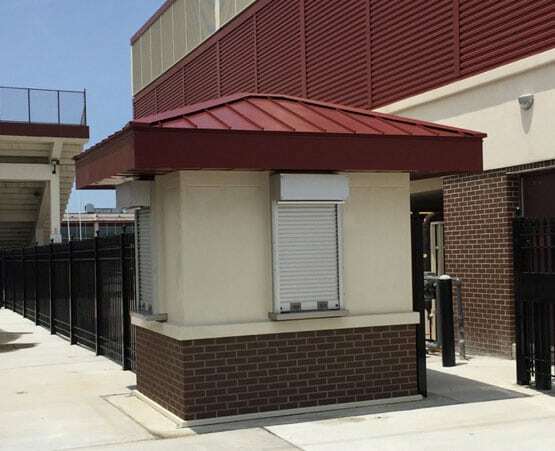 Whether your ticket booth is for a high school or University football Stadium, a public day use beach or boat launch, an amusement park or a major stadium or entertainment venue, Par-Kut ticket booths can be modified to meet your needs exactly. 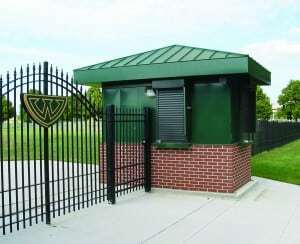 If the surroundings have a certain architectural style, the ticket booth can borrow some of the same design elements such as brick or stone, window framings, crown moldings, etc. For multiple station ticket sales, windows can be arranged along a long wall for several walk up service lines or along the sides of the ticket booth. The interior of a ticket booth should have a minimum set of features to facilitate optimal sales of the tickets. 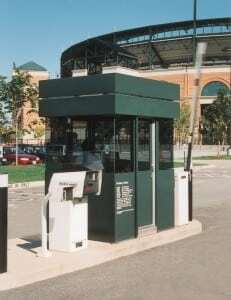 Among the minimum features for a ticket booth: a work counter, a storage or money drawer, an overhead light, electrical outlets, weather resistant roof and walls, slip resistant floor, and climate control. Ticket booth interior options can include storage cabinets, built in phone and data preps to allow employees to communicate with other staff on location, anti-fatigue mat flooring, and a contrasting interior paint color to help set a positive mood. All standard paint colors are shown in the specification area of the website. 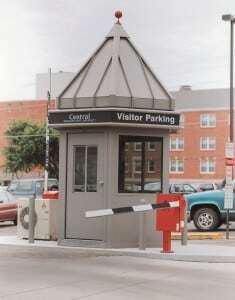 Specifying a ticket booth for inclusion in a large construction project can be approached a couple of ways. First the project designer can contact Par-Kut International and discuss their ticket booth design parameters with a sales consultant, rough out the details and obtain a quote against which a purchase order could be issued. 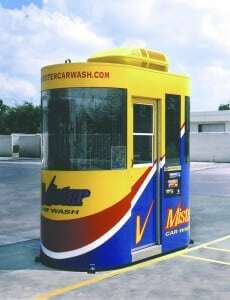 Alternately, a ticket booth specification and/or ticket booth drawing can be developed using available resources at our website. PDF drawing files of many different ticket booth layouts are available for decision making. Booth specifications and some booth drawings can be downloaded from the website or can be customized and provided upon request. Par-Kut ticket booths are all portable, and easy to move. The options include fork lift slots in the base, casters, trailers and skid mounting. 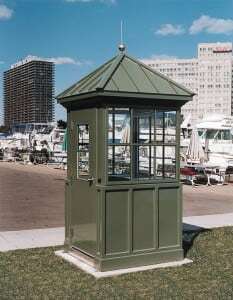 For more information about a Par-Kut portable ticket booth, go to our portable ticket booth blog page. Go to GALLERIES to view additional ticket booths.